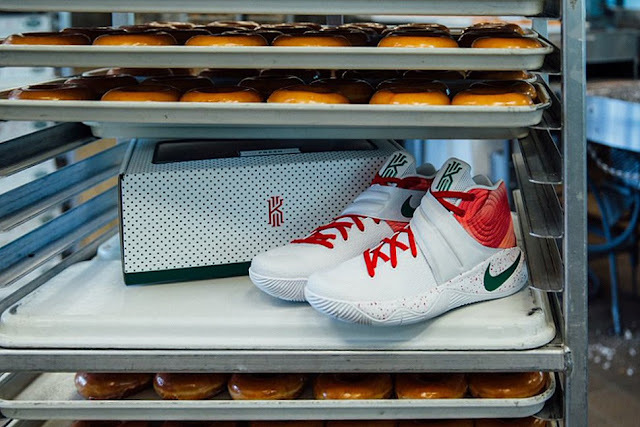 Nike’s Kyrie 2 has seen more than a handful of colorways, such as being covered in all red suede, a special EYBL edition, an ode to the iconic Nike Air Huarache model and much more. This time around the electric guard’s second silhouette with the Swoosh will receive a special theme modeled after Krispy Kreme Doughnuts. 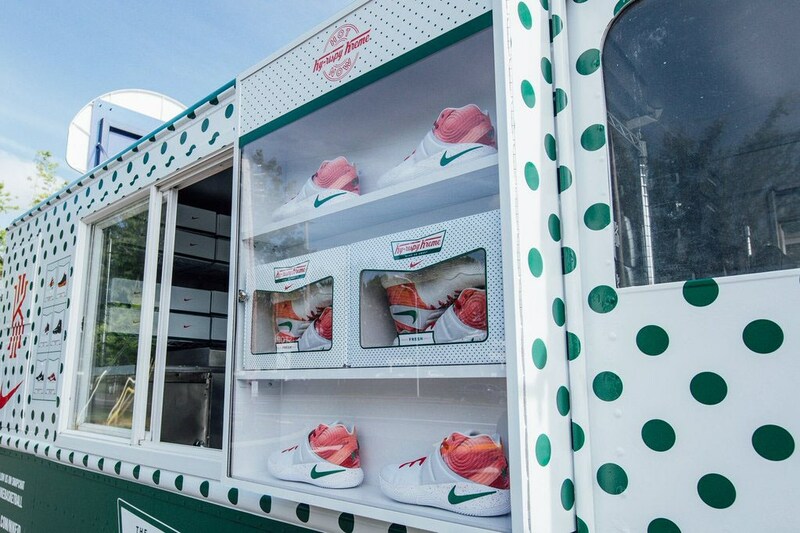 Nicknamed the “Ky-rispy,” brand new images have been shared via Nike’s social media that displays Nike’s constant innovation in terms of an unforgettable shopping experience, this time around featuring the iconic donuts’ signature livery-clad delivery truck. The Nike Kyrie 2 “Krispy Kreme” will host a white front with an orange heel that’s complemented wit green detailing seen on Krispy Kreme’s logo and packaging. 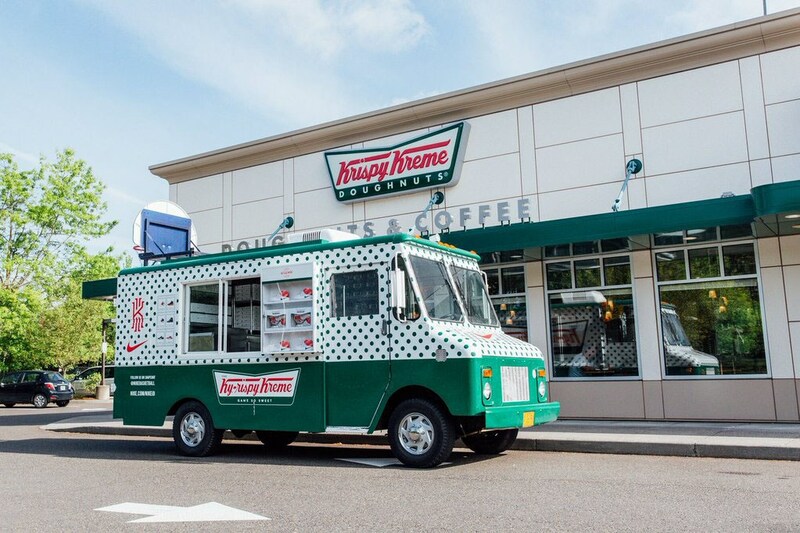 According to Nike’s PR Director Heidi Burgett, the “Krispy Kreme” colorway will release throughout the early weeks of May at select locations in Cleveland, Baltimore, Harlem and Brooklyn with limited quantities.